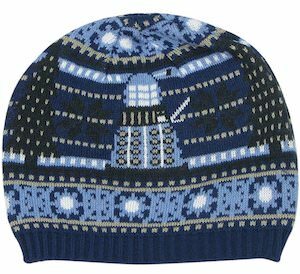 If you are a true Doctor Who fan that does not like to have a cold head then you have to check out this Doctor Who details beanie hat. 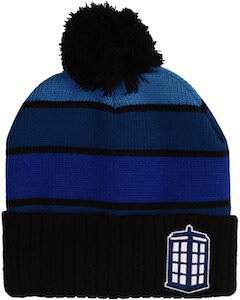 The beanie is Tardis blue and has a blue and white pompom on the top. 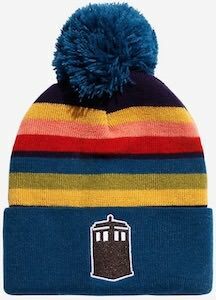 The winter hat has lots of Tardis details on it like the top sign and the windows and even complete images of the Tardis and then there are also some red bow ties on it so that we keep remember the 11th Doctor. 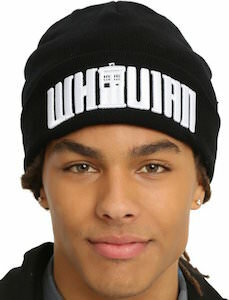 So now you can have a fun Doctor Who winter hat that still look great on you in summer. 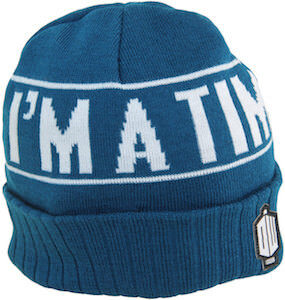 With this beanie hat your head will be warm but if you are lucky it could be a special version of the Tardis of Doctor Who and maybe then you can travel in time and space with it. 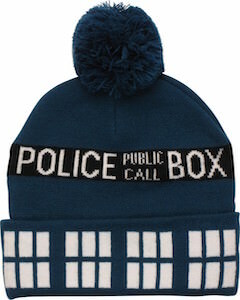 This blue beanie hat has the Tardis top sign on the hat and the folded edges show the windows of the Tardis and then to top it all off there is a blue pompom to make it look more wintery. 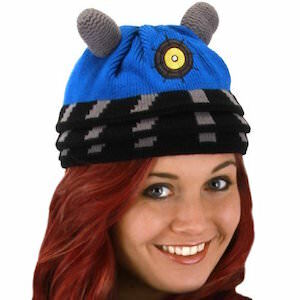 Made from 100% acrylic this one size fits most winter hat will be a a hit on the ski slopes but also when just wearing on the street on your way to work or school. If you are looking for a classic trucker hat that is blue but has a big white part on the front then this could be the one. 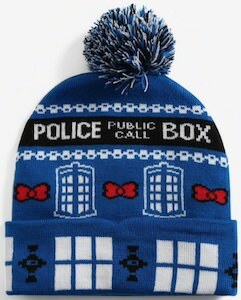 OK you have to be a Doctor Who fan to really enjoy this hat as it has the Tardis and the text “Keep Calm and Don’t Blink” on the white part. 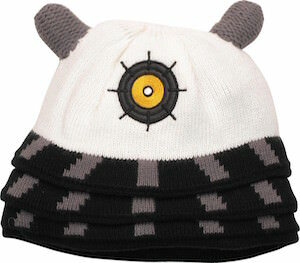 And this is the typical trucker hat with a big mesh part that is easily adjusted in size so that it fits you perfect with long or short hair. Weeping Angel are scary but if you tell people not to blink things should be fine. 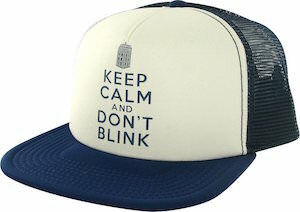 So come get your Doctor Who Keep Calm And Don’t Blink Trucker Hat.